The victory for world no. 10 India saw them take an unassailable 3-1 lead in the series with a match remaining to be played on Sunday. Two goals in the first quarter by Gurjit Kaur (2′) and Deepika (14′) put India in commanding position. 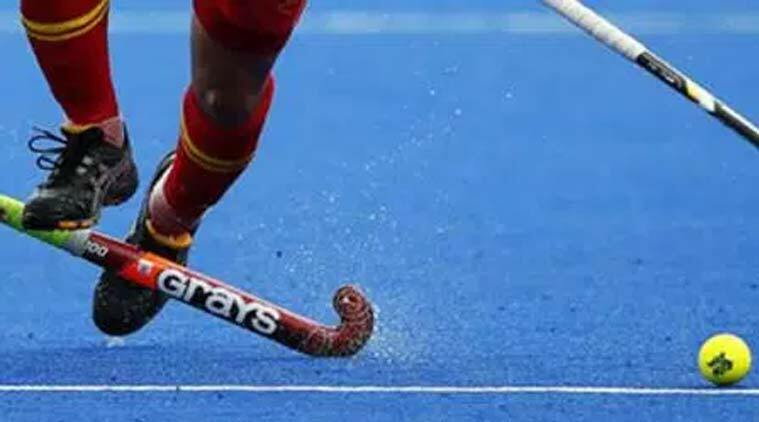 The Indian women’s hockey team produced an all-round performance to notch a 3-1 win over higher-ranked Korea in the fourth match of a five-match series in Seoul on Friday. The victory for world no. 10 India saw them take an unassailable 3-1 lead in the series with a match remaining to be played on Sunday. Two goals in the first quarter by Gurjit Kaur (2′) and Deepika (14′) put India in a commanding position while Poonam Rani’s field goal in the 47th minute secured the victory for the visitors as Mi Hyun Park (57′) scored a consolation goal for South Korea. The early stages of the match saw India put pressure on the South Korean defense to win themselves a penalty corner in only the 2nd minute, which was well-converted by Gurjit Kaur as she put the ball past goalkeeper Heabin Jung to give the visitors the lead. After going behind early, South Korea had the chance to equalise in the 4th minute but the penalty corner was shot wide while another PC in the 10th minute was saved by Indian goalkeeper Swati. On the other end of the pitch, India won themselves a PC in the 14th minute which was slotted home calmly by Deepika and put India in a commanding position at the end of the first quarter. The second quarter saw chances come begging for both the teams but neither could trouble the opposing goalkeeper as the teams fought for possession in the midfield. The two teams tried to get behind each other’s defense but neither could beat the defensive line or earn themselves a scoring opportunity as the defences for both the teams stood tall, meaning that India took a two-goal advantage into half-time. The penultimate quarter saw a similar story as the hosts were looking for a way back into the match, while the Indians were looking for a third goal to stamp their authority. It was only at the start of the fourth quarter when India produced a marvellous team move which was made up of some precise passing and clever skilful play as Vandana Katariya’s in-field pass was slotted into the back of the net by Poonam Rani in the 47th minute. The third goal put India in a strong position to wrap up a series win while the world no. 9 South Koreans looked dejected as they had little time to make a comeback into the match. However, the hosts showed some spirit in the closing stages which saw them score a consolation goal in the 57th minute through Mi Hyun Park.